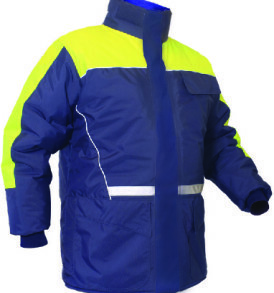 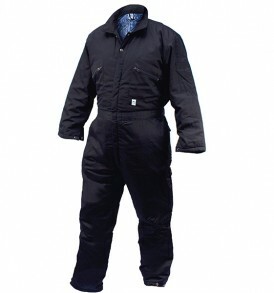 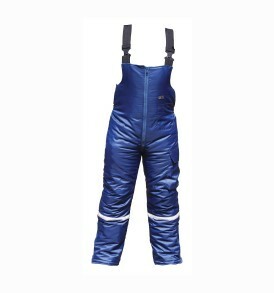 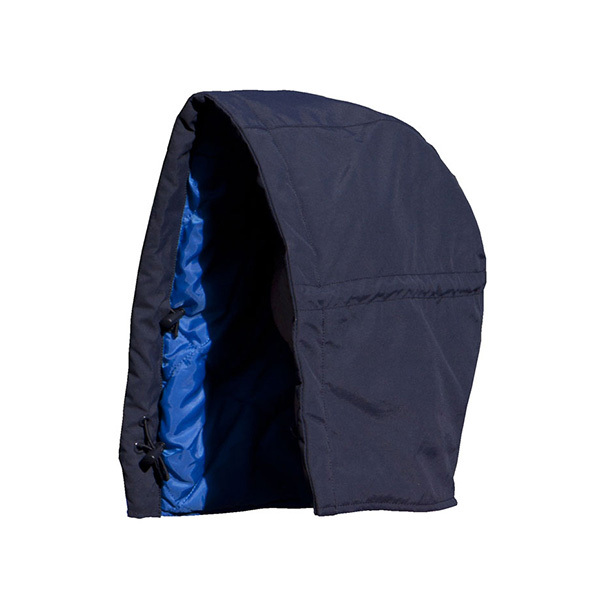 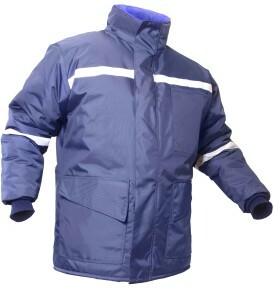 Outer navy blue lightweight nylon fabric with anti-fray, water and dirt repellent finish. 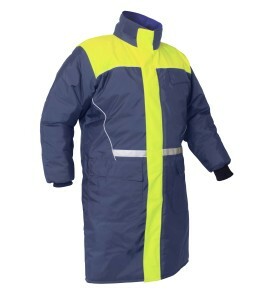 Insulation quilted in a 10cm box design to a royal blue polyester lining. 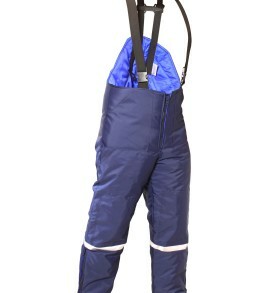 Drawstring sides for warmth and better vision.